Today, less than half of children with an aggressive form of the childhood cancer neuroblastoma can be cured, even with the most intensive treatment. This project is looking at a new immunotherapy approach to target this disease. It should be gentler than existing treatments and give children who currently can’t be cured new hope for a treatment option. We’re looking at a totally new way to treat neuroblastoma, that will cure more children and be gentler on their bodies. 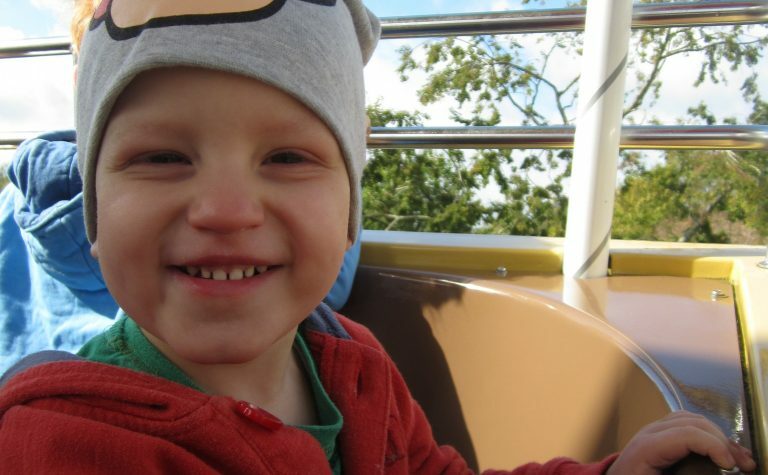 Meet Lucas - one of our hero patient stories! Neuroblastoma is a childhood cancer that often returns, despite intensive combination treatment with chemotherapy, radiotherapy and surgery. The treatments themselves cause significant side-effects both during treatment and in the longer term for those who survive. So we urgently need new treatment strategies that will cure more children and be gentler on their bodies. Immunotherapy using T-cells, important cells of our immune system, looks promising. T-cells kill abnormal cells, for example those infected by viruses. But they can also destroy cancer cells. Cancer cells often evade immune detection, however, because they are recognised as ‘self’ and don’t have a ‘tumour identifier’ (an antibody) to attract the attention of T-cells. In this project, Dr Karin is using a special class of artificial antibody called ‘Bi-specific T-cell Engagers’ (‘BiTEs’), designed to act as a tumour identifier. BiTEs bring the T-cells and the tumour cells together, helping to kill the cancer. Little Translators Esme and Honor help us to understand new childhood cancer research. Esme and her sister Honor help explain Dr Karin Straathof’s research. Esme is a childhood cancer survivor. Dr Straathoff is researching a totally new way to treat neuroblastoma, that will cure more children and be gentler on their bodies. We need to improve the chances of a cure for children with aggressive neuroblastoma, and doing it needs a new approach. Treating cancer with immune cells recruited to the tumour using a ‘binding body’ or BiTE is a completely new type of therapy. As well as offering chance of a cure to those who cannot be saved with existing treatment approaches, it should also be far less toxic than radio and chemotherapy. The development of BiTEs for leukaemia treatment is already promising, and the team will now take advantage of this knowledge to predict which type of BiTE will work best for neuroblastoma. They’ll test a panel of BiTEs to see which best helps the body’s own T-cells destroy the neuroblastoma tumour cells. Next, they’ll work out how best to incorporate BiTEs into the current, complex treatment schedule for neuroblastoma which already includes surgery, radiotherapy and several phases of chemotherapy. If successful, this would be one of the first translational studies targeting solid tumours in children, and the research team would be able to seek funding and approval to make BiTE therapy available to people with neuroblastoma in a clinical study, possibly within the next five years. And if it works well, they’ll use the same strategy to develop BiTEs for other types of childhood cancer. This research team has unique expertise in design and development of immune cell-based treatments. Dr Karin Straathof is a Wellcome Trust Fellow at the UCL Great Ormond Street Institute of Child Health, with more than 15 years’ experience in the development of cellular and immune treatments for cancer. She is working with Dr Martin Pule – an expert in the design of BiTEs and other T-cell immunotherapies – and Professor John Anderson – a clinician-academic paediatric oncologist who leads immunotherapy for solid cancers at Great Ormond Street Hospital. Professor Anderson is the lead investigator of a study of T-cells reprogrammed to recognise and kill neuroblastoma tumour cells that opened in 2016. He treats a large number of children with neuroblastoma and has essential experience in the design of clinical studies and implementation of new treatment strategies into clinical care.